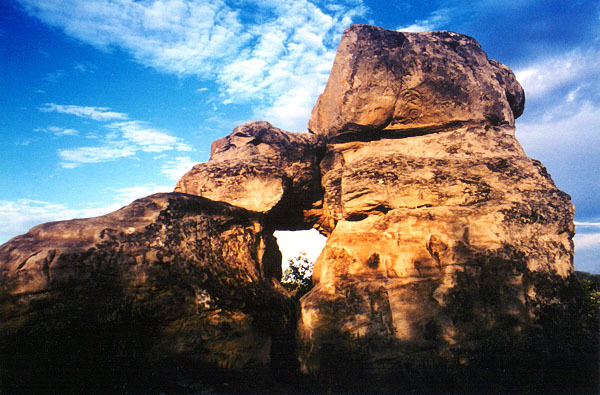 SASKATCHEWAN: Roche Percee is a small arch on provincial government land. There is a signed turnoff off Provincial Highway 39 about 7 miles east of Estevan. The arch (and another even smaller one) are about 3 miles down the paved road from the turnoff. Photo by Larry Fogleman.